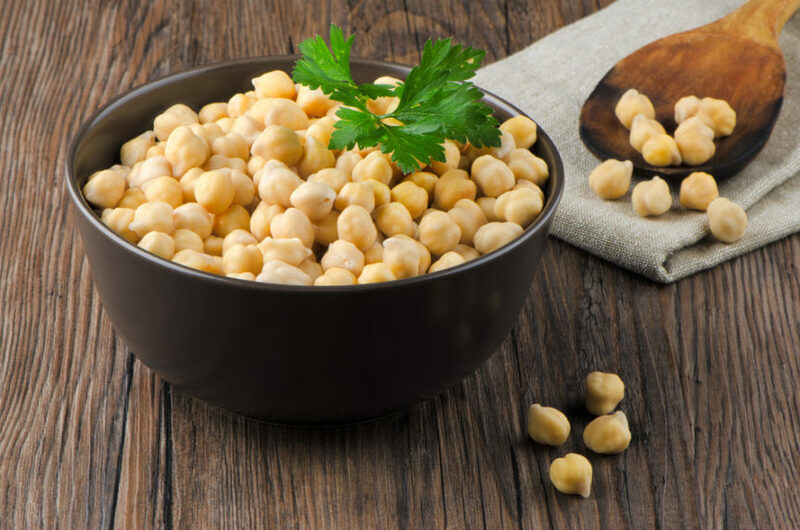 Blog 5 Surprising Things to Know About Chickpeas – Quiz! Get the most out of your chickpeas. Do you know how? TRUE. It’s International Year of Pulses but what the heck are they and how are they different than legumes? pulses which are dried beans, peas, lentils and chickpeas. I adore the creamy nutty taste of chickpeas. The hunger-curbing protein-fibre combo, affordability and versatility make chickpeas a lunchtime staple in our house. 2. Chickpea flour should be part of your pantry. T/F? TRUE. Because it’s good to experiment with new healthy ingredients! Patties or meatballs – it’s a great binder. 3. A 10 second rinse of canned chickpeas cuts sodium by 40%. T/F? TRUE. The amount of sodium on the nutrition label includes the liquid but seriously, who is drinking that? Of course salt-free options are easy to find these days too but what irks me is they often cost more than the added-salt varieties. What’s with that? 4. Chickpeas are just as Canadian as maple syrup. T/F? TRUE. And why not? We grow loads of chickpeas (also called garbanzo beans) in southern Saskatchewan and Alberta. To support Canadian farmers, check the package and buy Product of Canada. 5. You can always blame farting from eating pulses on the dog. T/F? Eat pulses more often but ease into it. Over time our bodies tend to adapt and produce less gas. If all else fails, buy Beano® at the pharmacy. If you want to be incognito, ask the pharmacist for some Alpha-galactosidase, it’s the same thing. Cooking with Pulses is a comprehensive resource loaded with easy recipes and practical tips. Do you have a question about chickpeas? Email me!